An interview with Tamara Moskvina, one of the most legendary coaches of all time in figure skating. She was a 5-time Soviet Champion in Singles, and 2-time Soviet Champion in Pairs with different partners: Alexander Gavrilov and Alexei Mishin. 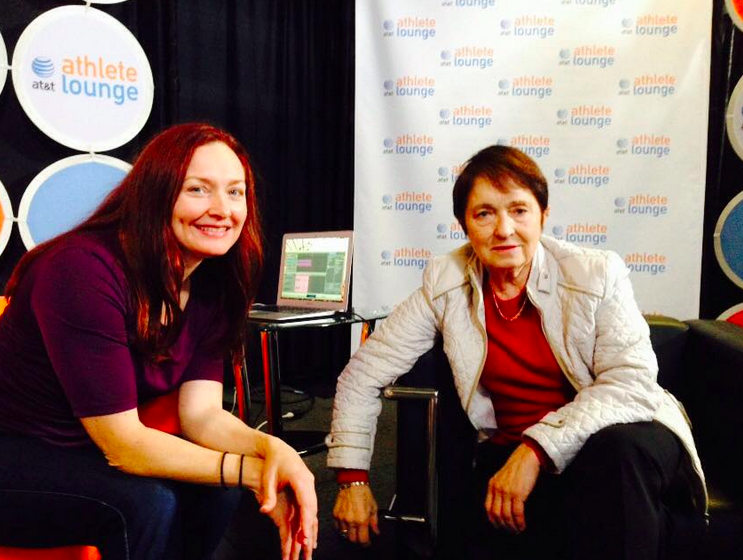 With Mishin she was the World Silver medalist and competed in the 1968 Olympics. Since becoming a coach, she’s been a driving force behind the dominance of Russian Pair teams over the past several decades, having coached some of the best teams in skating: Valova & Vassiliev, Mishkutenok & Dmitriev, Kazakova & Dmitriev, Berezhnaya & Sikharulidze, and Kawaguchi & Smirnov. Moskvina talked about how she invented the Beillmann Spin, the 2002 Olympics pairs scandal, and how she broke her tooth on Mishin’s knee. 53 minutes, 37 seconds. On her most embarrassing skating moment: I don’t have such a case in my mind. Maybe it was, but I do not remember. On beginning skating: I was born in Leningrad on the fourth day of the beginning of the Second World War, June 26, 1941. And since then I have lived there. It is a beautiful city. In those years, skaters started at [age] sixteen, and I started at ten, it was early. But then after several years, skaters started to start earlier. On her first coach, Ivan Bogoyavlensky: He was a very good coach because he conducted the lessons, group lessons, with such a joy, such attraction, that it was fun to come every day for the practices. 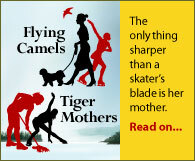 On walking to the rink on the toepicks of her skates: Before I started taking lessons, I used to go to public sessions, but it was on outdoor rinks. In those days, the streets were covered by snow, and I lived not far from the ice rink. So I put on my skates, not figure skating skates but kind of in between hockey and skates for everybody, for public. So I put them on and walked on the street to the ice rink. But in those days it was like normal [laughs]. In those years we did not have skate guards. Now it seems like an anachronism but in those days it was normal. Now I say, if you think about driving the horse to school, now you go by car. The same. On being coached by Igor Moskin, who eventually became her husband: I was a member of the city figure skating school. My first coach decided to change schools. He was looking for better conditions. But this was the city school, located downtown, and it was convenient for me to stay there. I decided that I would stay in the school part of it, and in some time a new coach who was the pair champion of Soviet Russia came to teach. So I became his student. On inventing the Biellmann spin: I was a student at the School of Physical Culture and we used to do a lot of gymnastics and acrobatics and all other sports. I watched gymnasts and how they do this move, and I said, oh, great, I can put it on ice. And I did, and developed so I was rotating at a nice good speed, and did that position. But at the European championship in 1960, I was only 22nd or 24th, I don’t remember, and nobody remembered me, though I have a clip from a German newspaper with a photo of this move and my name written under. Several years passed, and then in the dressing room, I talked to Denise Biellmann because she was participating in the European championship where my pairs skaters competed. So she told me, yes, my coach told me, I knew one Russian girl who did this position, this spin, try. And she tried and developed it, but she was European champion and everyone paid attention to her. That is why they started to connect her name with this spin, and the spin became Biellman spin. But I don’t have any regrets or any proposal to return my name to this spin. It doesn’t matter [laughs]. There was great applause when I performed it. I was flexible then and I rotated with great speed, and it was spectacular. I developed the method to quickly catch the blade, and how to move the leg up. And then I did that in the pair skating program too with Alexei Mishin. On changing from singles skating to pairs skating: Pairs skating in the Soviet Union was very well developed and had a great tradition. We had a lot of past pairs skaters who won international championships, Europeans and Worlds. We had that tradition and we had people from whom we could take examples. So the better politic was to follow good example. So Igor said, you are five-time Russian champion in the singles, let’s try pairs skating. And I thought, oh, this will be good idea, because if I will teach in the future I will have another profession, another knowledge. And I started to do pairs in the beginning with Alexander Gavrilov, and I changed in one year to Alexei Mishin. I skated with mistakes at the national championships, but we did qualify to be on the national team. Alexander was already married and he did have a child, and he needed financial support and we did not have that. So he had to quit and start teaching. On skating pairs with Mishin: It was great fun because we were grown-up people. I was married, he was married. He had high education, I had high education. So this was not only interesting to skate, but interesting to communicate. Our conversation was with the jokes, with the stories, laughing. We tried to do what Igor, our coach, told us, in order to quickly finish the practice and go home. I go home to my family, he goes home to his family. On breaking her tooth on Mishin’s knee: Yes, there was such an accident. We did twist but not split twist with lutz approach, we did split twist with axel approach. And it was not enough speed and rotation, and not enough height. So I landed with my chin rested on his knee. So for one week he could not walk because I kind of hit his muscle. And as I hit my chin the root of one tooth broke, just the root, and that is why I could not breathe because each move of the air made such pain. And I could not eat. But this also was kind of fun [laughs]. We never quarreled, we never shouted at each other, we never said bad words at each other, because we were two intelligent and educated people, and this was fun to skate together. On their competitive results: In comparison with the Revolution, those achievements are nothing. Such results, you didn’t know until you started to dig into the Internet, and before the Internet, many people didn’t know. On the 1968 Olympics: I made a mistake, on the camel spins, because I was too nervous. But I created proper methods in teaching skaters not to be nervous, or be nervous and hide this. On retiring from competitive skating: I was 28 and was preparing to give birth to my first child. And then four years later was my second child. And I did my PhD thesis as well. On deciding to coach pairs because of the training schedules: In those years singles skaters still did figures, and it was very time-consuming. I was married and had children, and then I was very active in social life. So I decided, the medals are the same, and this [pairs] takes less time to prepare skaters of a high caliber. Usually in Russia in those days when skaters decided to do pairs, they were already good skaters and they already had figures. On making connections with the skating community outside Russia: I don’t like your impression, “reaching out to the West”. I just considered our skating community an international skating community, and it was to communicate with people from all over the world. Because Westerners also communicated with skaters from the so-called by you “Eastern Bloc”. So I don’t know who wanted to wanted to reach out and who wanted to reach in [laughs]. The ISU wanted our knowledge in pairs skating, and as I could give information translated from Russian into English, it was just the desire to combine our forces. Coaches, judges, officials from different countries were interested to communicate with coaches, judges, skaters from other countries. So we started to approach each other. And as I knew English, then I was approached to help with translations, with questions, with answers. And I liked that because it gave me the understanding of different people, and it gave me the understanding that people are the same human beings all over the world. At my first international competition, in Garmisch-Partenkirchen in Germany, I understood that you need to know language, otherwise you are dumb. If we say that the mountain doesn’t go to Mohammed, but Mohammed goes to the mountain, then people who speak Russian – we are capable of learning English, or German, or French. And we did that. And still many Russian skaters and officials speak English or German or French, but not many people from other countries speak Russian [laughs]. On living and coaching in the United States: At the beginning, I used to come and do seminars that USFSA invited me to conduct, because they appreciated my knowledge. And I did the same in Germany and France. This was not living there, it was just visiting. And some skaters came to Russia and stayed and took lessons from us there, so this was not only one way. When we had to live here [in the US], before Olympics in 2002, this was because of some difficult situation in Russia when there was a perestroika. So I decided that to make it easier for Elena Berezhnaya & Anton Sikharulidze to prepare for Olympics, it was better to relocate to New Jersey, Hackensack, and also to help American team, Kyoko Ina and John Zimmerman, prepare. On pairs as a creative discipline: I can’t say “most” creative. Dance is also creative. But right now there are some restrictions by the rules that limit creativity, because you need to fulfill a lot of demands of the rules. But in pairs skating there are elements of singles skating and acrobatic, choreographic, dance moves, so there is more possibility to create interesting programs. On her own sources for creative pairs moves: I think observing life in Western countries gave me the idea that in these countries they like something new, something that grabs the attention of the public. Because if you have a new product everybody could buy that, because the production is made very quickly and everybody can buy this new product. So I thought, okay, I as a coach should create such elements, such programs, such little details that will be different from what people have here or what they use here. That was my goal. And I started to work in this direction, and I think I succeeded. Otherwise you would never take interview from me [laughs]. On mental training for her skaters, and helping them perform consistently: First you should analyze, what is their psychological status. Then you watch them during events, during competition or during situation when they are in a stress mood, and you try to find the proper approach in order to avoid such situations, or to teach them how to manage those feelings or those stresses. It depends on each person separately. I did have a student [that I could not manage]. I am not a miracle. I tried several tricks, several methods, and I thought that I had better stop teaching that person because I cannot help the person, and I spoil my character. On doing coaching, choreography, costumes, and music: We did in the Soviet Union, with the help of other people. Nowadays, we give other professionals to do that part where they are more professional than I am. I enjoyed doing all. It was a lot of work but it gave you the possibility to learn different fields. On choosing which pairs to coach, and on knowing whether pairs will stay together: They usually come to me. You never know when you join a group with whom you will make friends or with whom you will make enemies. But I have not so much choice, as there are not so many skaters who would like to do pairs. For example, you can have one pair or you can have two pairs. But my task is to help them keep together as much as possible, otherwise I don’t have pair [laughs]. On teams breaking up: You are asking “allow”. It’s not my job to allow. If they want to separate, they separate. I make everything possible to keep them together. But not putting handcuffs on their arms [laughs]. On coaching Elena Valova and Oleg Vasiliev: This was my first Olympic champions. I liked to work with them because they were grown-ups and they were very smart people. We could sit together and discuss what to do, their suggestion, my suggestion, and after we made the decision, they would fulfill without any deviations. At the beginning, Oleg was not confident during the jumps in the short program. If it would be double lutz, it would be single lutz. So we started to play with him one game, and since that he became very consistent and I could rely on him. And Elena, during the competition she was always confident. So if we prepared well, I could rely on them if they were not injured, which was very rare. I knew that they would deliver the program. It was not strange [when Oleg became a coach and his teams competed with hers]. People who love skating, after they finish they would like to pass the knowledge they have to other children. And it’s a very interesting job because it’s not only teaching, it’s creating. Thinking about the music and the costume and the program, it should be very well planned, adjusted to the physical condition of the skater. And communication between the boy and the girl, the leadership. To find who is the better leader in which field. Then it’s communication, it’s research about music, program, learning what other countries are doing in this field, communication with the judges, finding new elements. So a lot of interesting jobs in different fields. On coaching Artur Dmitriev to two Olympic gold medals with two different partners: Artur liked to skate, because he was a very strong personality. And he was capable enough to do what he had to do, and he was capable enough to watch what his partner do and produce artistic impression on the public. He was very strong mentally and physically. That is, why after Natalia [Mishkutenok] decided due to her personal desire to stop skating, we talked to Artur and he said, I would like to continue. So we made with him an arrangement, found the girl [Oksana Kazakova], and with her we brought them to the Olympic podium. He was twice Olympic champion and once silver medalist. On having her teams compete against Ekaterina Gordeeva and Sergei Grinkov: Gordeeva and Grinkov were very beautiful pair, and I enjoyed them skating even though I was the coach of their competitors. But I really adored their skating. So for me it was very difficult to find what music to choose, what elements to choose so that [her teams] could become competitive with the pair that I loved and enjoyed watching. So we did, but unfortunately — Artur and Natalia skated beautiful program, but still the choice of judging was Gordeeva and Grinkov. So this is life [laughs]. On coaching Elena Berezhnaya and Anton Sikharulidze: Every pair, it’s very interesting to look because it’s very different people, very different from other pairs. They form a unit, a group, with different physical, psychological, technical, musical, creative characteristics. So you need to combine all that to make productive technical sport unit. So again I started from the beginning with them, and produced very interesting, beautiful pair, as even Elena faced very severe injury and recovered from that. They were adored by a lot of spectators because they had great lines, they perfectly performed classical music, and their programs were always fun to watch. On coaching Ina and Zimmerman: This was a little bit different because those people, they were egotistical and they didn’t want to be united into one pair. They skate together, but they were completely separate. They never thought of doing something in order to be together with the partner. And then their relationship was not very friendly. For us, for my husband and I as we worked with them, this was a problem. And we succeeded to solve that, by different method. And really the achievement they made at the Olympics was very high. We expected that they could even be third but somehow American judges didn’t consider them to be third. And Russian judges and people from the Russian federation [said], Tamara, you are working very hard with the Americans, they are skating so well, we are afraid that they will defeat the third Russian couple. But I say, listen, I am professional, I cannot teach students, I cannot teach children to be worse than others. Let them compete and beat or win from each other. But somehow they skated a beautiful program at the Olympics, and I was looking at the marks and saw — they are third in my mind. But unfortunately it didn’t happen. But it was fun because we found the proper approach to their hearts, to their mind, in order to make them one single unit. And for many many years already I am receiving letters from Kyoko and calls from John, now they realize who they became and how tricky we did in order to make it happen. And we accept their thanks. On coaching Yuko Kavaguti and Alexander Smirnov, and Kavaguti’s loyalty to her: It’s called desire to be one of the best pairs skaters in the world. This motivation drives her, I can’t say drives her crazy, but drives her whole life. But she is not only skating-oriented. She already has three higher education diplomas. She graduated from St. Petersburg State University in international relations. Then she graduated from business school, and then she graduated from Academy of Physical Education and Sport in order to become a coach, if she will choose that. Probably from all those years watching us work, because my husband Igor Moskvin also work with her and her former partner — we produce a lot of good skaters, and from watching us work with personalities and human beings, because we teach not only as coaches but — not mother and father, but instructors of life. And I am happy to say all those skaters who stop taking from us become good personalities. On the 2002 Olympics: I consider that event, this was a mixture of different goals of different organizations. The International Olympic Committee, business structures, political systems, and all those scandals — that’s why we were little screws in that big machine. I found that it would be nice from us to accept the decision of the International Olympic Committee to give two medals to skaters, than to put extra oil into the fire and make more scandal. This [event] probably was the push for the new judging system, but there is no paradise on the planet, and nothing is perfect. Everything needs improvement, and if something is good you should improve. If something is not good, you should change or develop. On a non-Russian pair winning the 2010 Olympics: We were not surprised. For many years I watched how the Chinese couple were developing, and they became better and better. And this came when the situation in Russia, there was not as strong skaters as the strong Chinese pair. So everything is changing in life and in every field, so that’s why this was not a surprise. On why other countries have not been as dominant in pairs skating: I think the American federation dominated in singles for many years, so it is not a surprise that Russia dominated in pairs. On whether there is a difference in Russia for her now from when the USSR broke up: No. 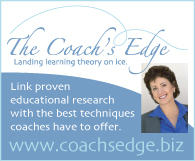 My profession is of a coach, and I coach skaters that they will become great skaters. That’s all. On her life outside the rink: I enjoy my life all the time besides skating, because I have enough time for that. I have friends, I am socially very well respected, I am a honorable citizen of St. Petersburg. People recognize me, appreciate my input into the development of sport in St. Petersburg and in Russia and in the world. I very often go to the theatre, meet people, so I am not fanatic coach. Then I have my family. We just celebrated our 50th anniversary of marriage, with my husband Igor. We have two children, two daughters. I have a high education, and I have many friends and people who appreciate what I do —like you. Her advice to pairs skaters: Try to find the proper way to solve the problem, not to make scandal with the partner. If you want to continue relationship, find every possible move to continue relationship. What an outstanding interview. Tamara is not only an extraordinary coach, but a more than extraordinary person and friend. Her humanity and wisdom are boundless. Thank you for sharing this with the world.